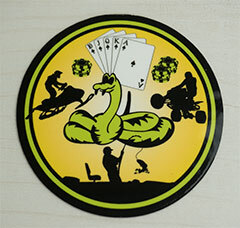 Reflective stickers are designed to attract attention in the dark. When you shine a light source on them, they reflect the light back. The contrast between the reflectivity of the material and the printed image produces the visual effect. 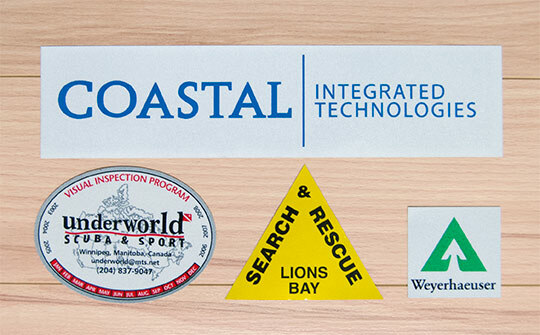 Common uses include, traffic signs, industrial safety notices, hard hats & helmets, forklifts , security stickers, construction sites, sporting goods, boats, license plate stickers, parking passes, trucks, trailers, motorcycles & ATVs. We have many customers in construction, transportation, mining, oil & gas, public utilities, government agencies & equipment manufacturers. 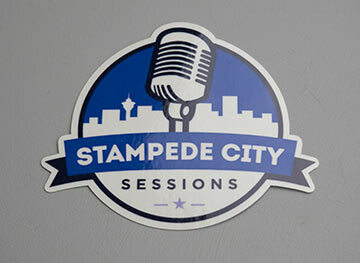 Our standard reflective stickers have a 7 year exterior durability, and a very aggressive adhesive. For maximum contrast in the dark, we suggest using black or dark colours to create the most contrast between the material and the ink. 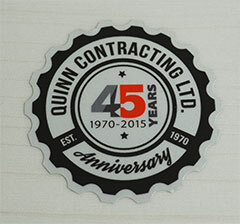 Reflective stickers are printed in full colour, and can be shape cut. Other options include sequential numbering, serial numbers and other variable data. 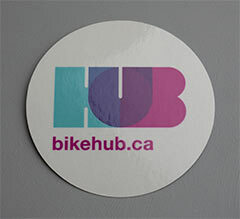 An added benefit of our reflective stickers is the very aggressive adhesive and "destructible" quality of the Material. 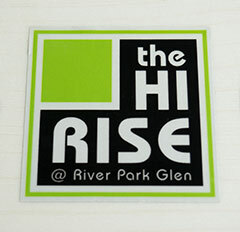 Once set, the high tack adhesive makes the stickers very difficult to remove, especially on metal surfaces . Also If you pick away at the edges of the material it will begin to shear and come off in small bits, due to the glass particles in the vinyl. 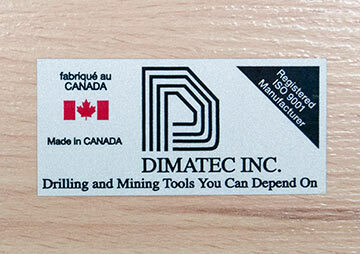 This make our reflective decals great for labeling tools and equipment for security and theft prevention. Below is a price calculator for our standard white reflective (white reflective is actually light grey in appearance). Contact us for any special requirements. 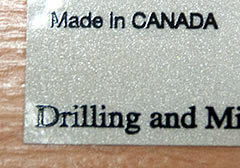 Reflective vinyl is available in different colours. 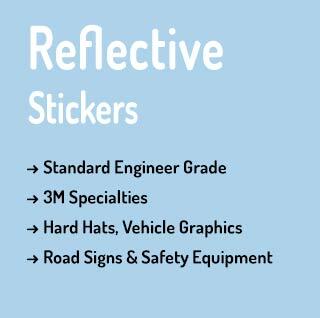 We can supply reflective stickers with custom 3M specifications, as required in certain industries. 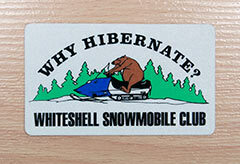 The optically clear laminate option is not required for most uses, but will increase UV ink longevity for lighter colours, and also add more abrasion resistance.